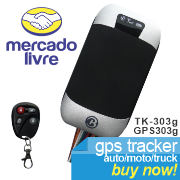 Vehicle tracker. Has built-in antennas and self-charging battery. For motorcycles, cars, vans, trucks, boats, etc. 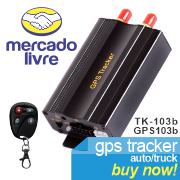 Vehicle tracker. Has two antennas to be built into the vehicle. For cars, vans, trucks, boats, etc. BL-P10*, Computec Block4, Computec Block5, Concox CRX1*, Concox CRX3*, Concox GT06*, Dynatech RD1300 (mini), Dynatech RD2000, G05*, Galileo Lite, Galileo Portátil, Galileo Track II, GPS-102*, GPS-103*, GPS-303*, GT30*, GT30X*, GT60*, Rover 9+, RST202*, Smartcar*, Suntech ST210, Suntech ST215, Suntech ST240, Suntech ST340, Suntech ST900 / ST910, Suntech ST940 AKI, Svias 700, Svias Lite, TK-102*, TK-103*, TK-104*, TK-105*, TK-106*, TK-303*, TK-306*, TK-311*, V-Sun TLT-1B, V-Sun TLT-1C, V-Sun TLT-2H / TLT-2F / TLT-2N, V-Sun V-3338, VT300*, VT310*. * These models are manufactured by several companies and do not have standard operation, therefore, may not work properly in our system. Once you have purchased the tracker, you must purchase a chip from your preferred company. It is necessary that this chip (SIM Card) have the data service (GPRS, EDGE, 3G or 4G). We recommend the purchase of PREPAID chip (SIM Card), because the cost is lower, the ease on the purchase and maintenance later, by inserting credits. You can sign up now or when you have the trackers in their hands. Once registered, you will have access to all necessary settings for their trackers. 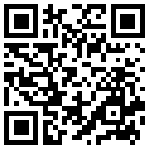 Through your iPhone or iPad, go to the AppStore and search by mobileGEO. Then, just download and start using! 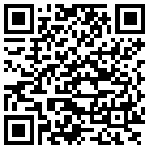 Through your Android device, go to the Google Play Store and search by mobileGEO. Then, just download and start using! A special site for you, with a unique url, with your logo. You buy the equipment and sells at the price you want, sell and offers its customers the services the way they think best. You decide how to work, if you want to sell equipment, you decide whether to offer other services, such as rescue, etc. The business is yours, you decide how to work. Your site is unique, customized with your logo, with a unique URL, and with the same features of our complete system. You have access to the administrative system, where you can create and manage users from their customers.